The University of Utah’s Office of Sustainability develops and provides support for sustainability initiatives within the campus and community in order to create a culture of students, faculty and staff who are socially, economically and environmentally responsible. 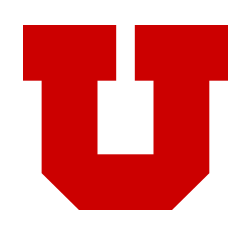 The Office of Sustainability’s vision is to integrate sustainability throughout all operations, research and curriculum at the University of Utah. The Office of Sustainability grew out of the Sustainable Campus Initiative, driven by the student group SEED (Sustainable Environments and Ecological Design).